Have you been wanting to know the wives of your favorite South African actors? Through this post, you can get full information on the beautiful wives of our favorite actors! Check out top SA actors and their beautiful wives. We have many handsome and talented SA actors, that have been capturing hearts and admiration of man. One thing for sure is that most of us know little or nothing about their wives who are celebrities as well! Check out the full list of top South African actors and their beautiful wives which they don’t hesitate to flaunt. This is still one of the strongest bonds that we have in the South African entertainment industry. The wife of Shona Ferguson is known as Connie Ferguson and the two have been married for more than 10 years now. Together they have one child named Alicia Angel. Connie Ferguson is also a South African top actress. Kabelo Mabalane is a South African kwaito musician, songwriter, and actor. He got married to South African actress Gail Nkoane Mabalane in the year 2013 in a beautiful private ceremony. They have celebrated over five years of marriage together and already have two kids. 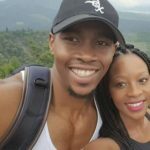 Motlatsi Mafatshe who is an Isidingo actor tied the knot with his childhood sweetheart Millicent “Mimi” Nkangane. The wedding happened on the 30th of November 2014 in Soweto. 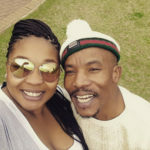 Former Generations actor Menzi Ngubane married his ex-girlfriend Sikelelo Sishuba in a traditional wedding in Kagiso on the West Rand in 2015. The veteran Ashes to Ashes actor divorced his wife Lerato Sedibe in 2013. 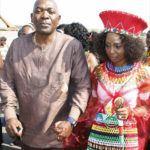 Radu and his wife Bobo Mokgoro had dated for a few years before deciding to make their relationship official in 2014. 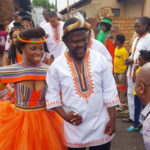 They wed in a traditional style wedding extravaganza which saw members of their families and friends support them at their Johannesburg based homes over two days. Howza Tshepo Mosese is married to actress Salamina Mosese and in 2018, they celebrated a decade as a married couple. 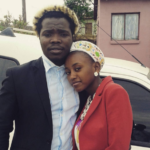 Salamina did, however, take to social media on Thursday to a share tweet about their anniversary. “10 year anniversary,” she simply tweeted – with the real celebration still to come we assume. Mduduzi Mabaso is a South African actor who is well known for his starring role as gangster Suffocate on the e.tv soapie Rhythm City. The popular SA actor’s wife is known as Fatima Mabaso. 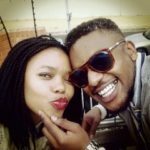 Andile Jobe and his wife have been married for years now and from the looks of it, he is still crazy in love with her. Together they have a daughter and they seem to be really enjoying their marriage.